Are you looking for a change for your next summer holiday? If you’re anything like this writer, you prefer temperate climes and a warm summer with a cool breeze. Furthermore, you like your holidays to include not only time for rest and relaxation, but also exploring the local history and culture. If you’re struggling to find somewhere that encapsulates all of this and more, look no further than Copenhagen. The capital of Denmark, this city is bursting with things to see and do. You’d be well advised to take a tour of the LEGO factory and the original Carlsberg brewery, along with making sure to eat your fill of signature Danish pastries! But if you really want to sink your teeth into Copenhagen, into its quirks and charm and hygge lifestyle, read on for our recommendations. One of the typical Copenhagen photographs is of colourful houses set along a waterfront. Have you ever been drawn to visit somewhere just because of a photograph? 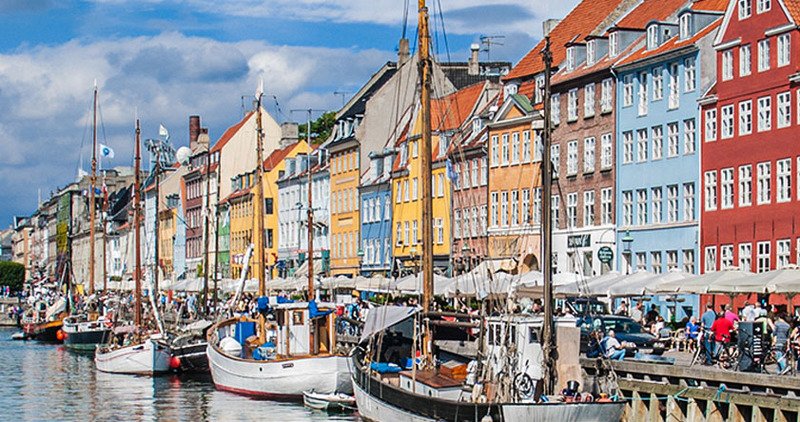 The search is over: visit those very same houses in Nyhavn. The best time of day to visit in late afternoon/early evening, during the magic hour at sunset, when you’ll be able to experience calm and cosiness—appreciating the moment exactly in the hygge way. 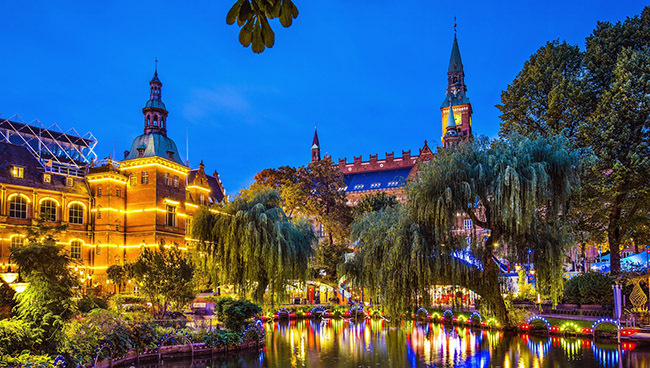 If it’s excitement you’re looking for, you can’t go wrong with Tivoli Gardens. Right in the centre of the city, it features stunning gardens and fantastic amusement park rides. If you must have a slice of history with your fun, then check out Dyrehavsbakken, the world’s oldest operating theme park (est. 1583)! For those with romance on the agenda, there’s plenty here with which to charm your significant other. Head to Frederiksberg Gardens to row, row, row your boat across the picturesque lake. Lean in to the gastronomic culture and take your sweetheart to Geranium; while expensive, it’s worth it. If you both enjoy companionable silence, bring your favourite reading material along to Rosenborg Castle Gardens and seek a nook big enough for two. Are you a foodie? It’s a well-known fact that the cost of living in Denmark is high, and this extends to the cuisine. However, there are many places you can find cheap eats if you’d like to be more conservative with spending. 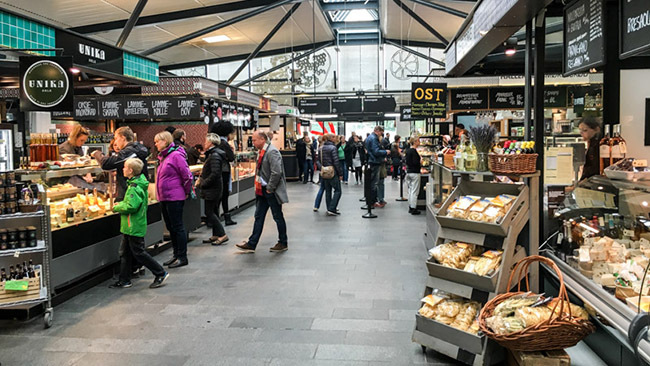 Torvehallerne Market features everything from casual fare to gourmet and delicacies. You’ll find delectable cheesecake at Bertels Salon Kompagnistræde. For street food, you need only step outside in most places to find something to satisfy those stomach rumbles. And make sure to try the classic Danish Flødeboller. Trust us on this. Finally, it’s always fun to do something completely different. Admire the vast Christiansborg Palace. Take a trip to Amalienborg, the winter home of the royal family of Denmark. And shake up your world view by visiting Christiania, a self-governing ‘free town’ within Copenhagen that has a culture all its own. Our last tip for getting around the city is to rent a bike or take your own. Rates are reasonable by the day or week, and you’ll see so much more at a leisurely pace! 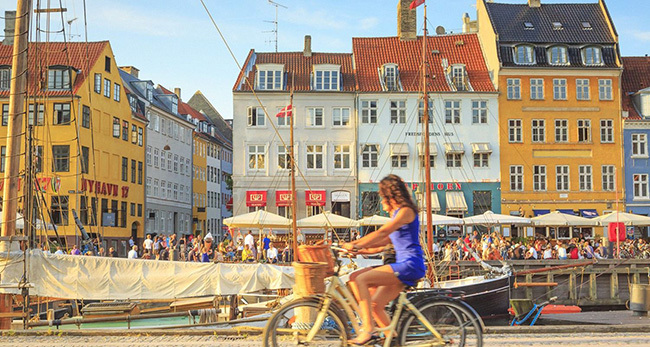 So is Copenhagen somewhere you’d love to experience every single year? If so then get in touch with our Buying Team today. In tandem with our in-house Legal Department, they will make the process hassle-free. On the other hand if you’re looking to free up your summers for other locations, call our Selling Team for a no-obligation chat. We’ll be able to apply our 25 years of industry knowledge and keep things simple. ‹ Splish, Splash, Splosh: Our Top Five Water Parks in the World!